This may sound wacky in today’s world … but I believe we are all teachers … yup … not just those with a title of ‘teacher’ who is standing up in front of our young people day in and day out <beginning at some miserable pre-dawn hour> working with them to fine tune their minds into working, thinking machines. That said … think about this. If you are an adult reading this … either accept the fact you are a teacher or … well … you are cheating someone … a someone who is waiting to be taught something … or … a someone who EXPECTS to be taught something. That certain someone <let’s call them young people> is waiting to be inspired. I just wanted to clear up the despicable thought that despite what we adults say about the lazy game playing youth they are actually big hyperactive brains waiting to be inspired to do something. We inspire … or make their lives uninspired. It is our choice. It drives me nuts the way so many people want to delegate teaching to “teachers” <educators>. Absolutely. Frickin’. nuts. And I am not just talking about ‘readin’, writin’, ‘rithmetic’ type stuff <although that can certainly be included>. Because I go even more crazy because so many people ignore the fact that despite all their energy invested to avoid any type of teaching … they are actually frickin’ teaching. They are observing … and well … learning. What you do around a child teaches. 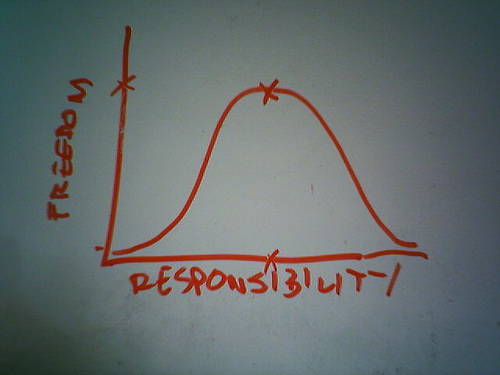 If you do not accept the responsibility, trust me, kids are thinking you are being responsible. And, possibly, you are responsible for their souls <at least the development of their souls>. In China they say that a good teacher is like a candle – it consumes itself to light the way for others. I am not going to ask every grown up to do the last part … because that suggests giving so much of yourself to teaching you are consumed for the benefit of others <by the way … it is a good legacy to have if you actually do elect that path>. And while teaching is like being an engineer <a science> … imparting knowledge effectively to others, especially children, is an art. A great teacher embraces <ok … accepts …> the engineering aspect and teaches in ways that makes someone want to learn. He or she inspires you to go beyond the standard lesson <Life lesson or education lesson>. They inspire students to think and strive and experiment. It is a Life truth that teaching always lives on in all of us who has been taught. That thought alone should remind all adults that they are teachers. It seems kind of obvious to me that you <an adult> have to believe you are a teacher because you really cannot guess how far reaching your influence will be. That’s the thing about being an adult <oops … teacher>. You never know whose life you are changing. Just a side note so no one thinks this is just personal opinion. A study by the University of Kansas recorded the number of words parents from 42 families in various socio-economic groups spoke to their 4-year-old children. Children from professional families heard on average 45 million words before kindergarten. Children from poor families heard on average 13 million words <educational level of achievement followed accordingly>. This is the beginning of the achievement gap and the cold calculus of poverty. 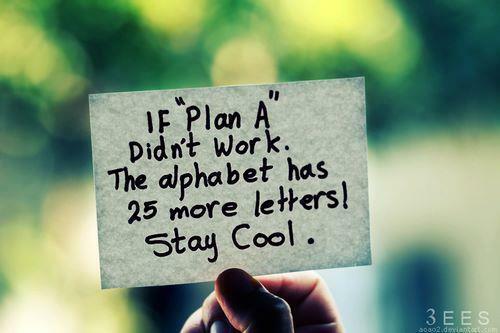 Some of those missed words not only were about real learning … some were about hope <and dreams>. I am not suggesting accepting responsibility for being a teacher is easy. It is not <ask any school teacher>. Anyway. I can guarantee you one thing unequivocally … it all leads to a Life lesson. Therefore … all that said … the responsibility an adult holds for the well being of young people is paramount. Of greater importance than just about anything else. You may feel this, and believe this, more as a parent but being a parent is irrelevant on this issue … it is the responsibility of all adults. If you do not agree? I understand that sometimes people lose sight of what is right and what is wrong but with children and teaching it is paramount you recognize and take steps to rectify your beliefs <and actions>. And you know what? While I am ranting about how it is a responsibility, which implies you aren’t doing anything but what you should be doing by doing it, you deserve credit when you accept the responsibility. In truth, all I understand as to that particular is only this, that the greatest and most important difficulty of human science is the education of children. For as in agriculture, the husbandry that is to precede planting, as also planting itself, is certain, plain, and well known; but after that which is planted comes to life, there is a great deal more to be done, more art to be used, more care to be taken, and much more difficulty to cultivate and bring it to perfection so it is with men; it is no hard matter to get children; but after they are born, then begins the trouble, solicitude, and care rightly to train, principle, and bring them up. The symptoms of their inclinations in that tender age are so obscure, and the promises so uncertain and fallacious, that it is very hard to establish any solid judgment or conjecture upon them. ’Tis the custom of pedagogues to be eternally thundering in their pupil’s ears, as they were pouring into a funnel, whilst the business of the pupil is only to repeat what the others have said: now I would have a tutor to correct this error, and, that at the very first, he should according to the capacity he has to deal with, put it to the test, permitting his pupil himself to taste things, and of himself to discern and choose them, sometimes opening the way to him, and sometimes leaving him to open it for himself; that is, I would not have him alone to invent and speak, but that he should also hear his pupil speak in turn. Let the master not only examine him about the grammatical construction of the bare words of his lesson, but about the sense and let him judge of the profit he has made, not by the testimony of his memory, but by that of his life. Let him make him put what he has learned into a hundred several forms, and accommodate it to so many several subjects, to see if he yet rightly comprehends it, and has made it his own. Just accept you are a teacher. And accept the fact, whether you are actually good or bad at it, that when you DO get it right … there’s a way in which teaching invokes curiosity and passion … no matter what the subject. 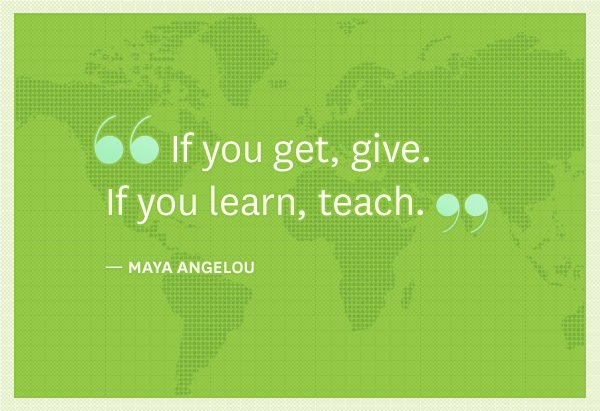 Great teachers make learning feel good. Great teachers actually feel good when it all works. Great teachers effect living as well as just the mind. Great teachers beget great responsible thinking adults. 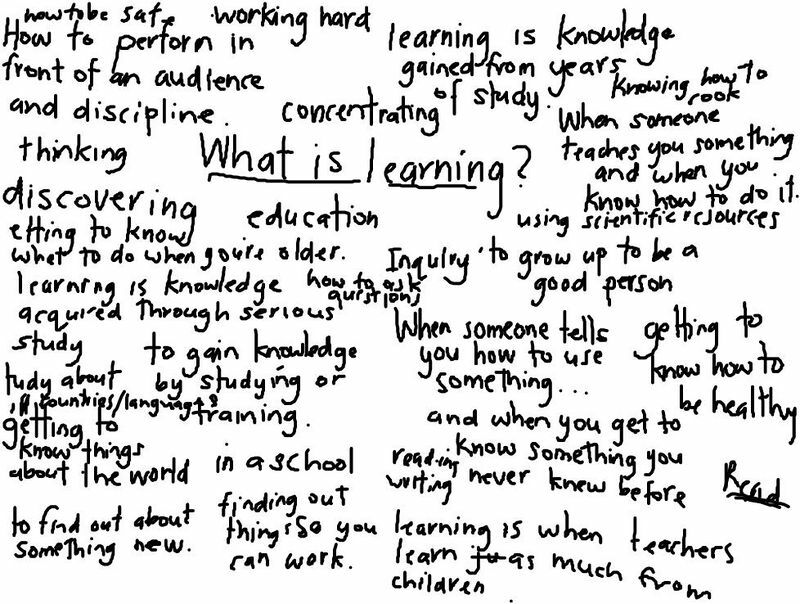 Montaigne also offered the reciprocal thought that “Learning is living, and living is learning”. That guidance not only helps to provoke, make them think <sometimes think hard>, and introduce new ways of looking at the world for many years … but it also helps guide them through Life. 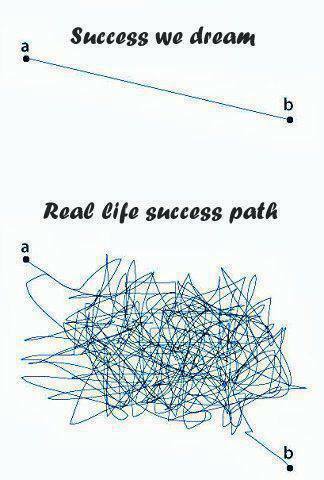 Because <just as reminder> … success in Life is rarely a straight line. I have signed up to see it that day. – it discusses young adult suicide. An important issue, a sad issue, a real issue … an issue I have personally faced with a friend … and I am not sure I am up to sitting through a movie and refacing it. – I had a bully moment in middle school, not proud of it, and it pains me to even type it … so seeing a movie about it seems exponentially more painful. Maybe it’s the last point that makes me hesitate the most. A bunch of us seriously bullied a weaker boy. We pushed him around. We made him miserable. We said incredibly mean things. We spit on him for god’s sake. Today? I am humiliated at myself just thinking about it. At the time? I don’t know if I was that humiliated. His mother called all our mothers. I don’t know about the other guys but my mother made me feel pretty miserable. But, frankly, I think it was more miserable because I was paying for it through having things taken away and not because I had been a bully. Honestly <at that time> I thought he was a wimp. It was confirmation he wasn’t tough. That he wasn’t a real guy. He told on us. And I am not proud of it. And I kind of think it is not unusual. But it is also a fact that makes me feel miserable <even a little upset> thinking that I could even think those thoughts. Yes. Kids can be cruel. Especially as they ‘fight’ for status and finding their own self esteem … all within a yet-to-be-contructed self character. And while boys will be boys (and girls can be just as cruel in a different ways) I don’t think it’s an excuse to not try and do something about it. Or at least talk about it. 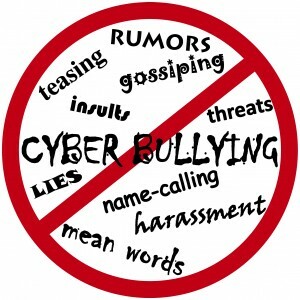 And beyond the face-t0-face bullying … the internet has brought an entirely new level to bullying. Or maybe a new level of bully. In my youth you had to actually be a bully. Or you weren’t. Today? You can be a faceless bully. And that is actually being a coward. I am not saying the bully that I was is a ‘good’ bully. Its just people could see what I did with my little pack of ‘bullies’ and, ultimately, we faced repercussions. Those repercussions absolutely made me think about my actions. And, inevitably, they impacted my future actions (for the better thank god). Faceless bullying is being a coward. And I believe children need to understand, for good or for bad, that they need to take responsibility for their actions. And in that responsibility they will learn that some things are just not acceptable. In no way should I have participated in what happened with that kid I went to school with. Absolutely unacceptable. But. The repercussions of what I participated in certainly drew a line in the sand for me. Maybe it was just a wake up call. I don’t know. Whew. This is a hard one to write about. I don’t want anyone to think I am justifying my actions, or the actions of any bully, all I know is that being caught meant I changed in some way. If I hadn’t been caught … well … geez … I don’t know. I am sure <or at least I would like to hope> that I would have found ‘the right thing to do’ aspect of my character but at that point in time the only jury I was facing was a jury of peers. Regardless. All I know now for sure, now that I just reread it, is that ALL bullying is cowardly. I am not sure a movie will make a real difference other than maybe people will talk about it. The wrong people will talk about it. What do I mean? Two aspects. 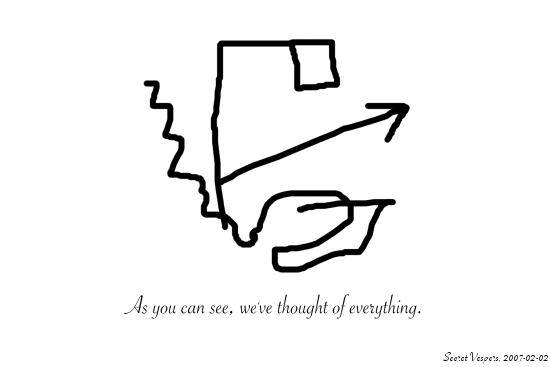 – Parents’ perception of their child. I am fairly sure my parents almost fainted dead away with surprise that I was part of any bullying. Parents don’t see their kids in real life kids situations. Bullies come in all shapes and sizes. They don’t have to be the biggest or loudest or whateverest. My parents would never have even thought to bring me to a movie like this (and, yet, it may have made a difference). Making the movie cannot hurt. And people should talk. And people should probably understand that bullying is more likely indicative of some other underlying issue than it is simply a behavior action. All that said, while I may not attend the movie, here are some things to think about. Bullying numbers vary. In fact they are all over the place. And while stories of radical incidences of school violence <school shootings> shown in the media may seem frequent extreme forms of school violence are rare. And studies show that the occurrence of school violence has been declining since the early 1990s. Still, school violence<bullying>, in whatever form, is a problem that can leave lasting negative effects on a child or young adult. Those with the highest risk of becoming victims of school violence are between the ages of 12 and 24. Studies show that each year one in 12 teens in high school is threatened or injured with a weapon. Beyond physical damage, victims, instigators, or witnesses of school violence may develop psychological problems including depression, anxiety, and immobilizing fear. Common indicators of school violence include victimization, verbal harassment, classroom disorder, coercion, criminality, and physical assault. 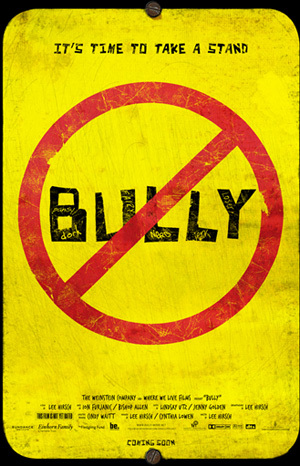 Bullying is the most common experience for many children and adolescents. Surveys indicate that as many as half of all children are bullied at some time during their school years, and at least 10% are bullied on a regular basis (source: The American Academy of Child and Adolescent Psychiatry). Bullying isn’t always physical. While boys tend to use physical intimidation or threats, girls tend to use verbal intimidation, threats & slurs … usually with another girl as the target. And the web is creating an entirely new bullying world. – Nine out of ten middle school students have had their feelings hurt online. – About 75% have visited a Web site bashing another student. – Four out of ten middle school students have had their password(s) stolen and changed by a bully who then locked them out of their own account or sent communications posing as them. – About 21% of kids have received mean or threatening e-mails. – About 58% of kids admit someone has said mean or hurtful things to them online. More than four out of ten say it has happened more than once. The psychological and emotional outcomes of cyber bullying are similar to real-life bullying outcomes, except for the reality that with cyber bullying there is often no escape. School ends at 3 p.m. The Internet is available all the time. – WHAT I THINK ABOUT ALL OF THIS. Telling someone to die, go to hell, etc., via the internet or any other medium is NEVER ok. EVER. I don’t care what they did, you’re either going to make them want to continue with what they were doing, or cause them to lose it. It doesn’t matter in the words are spoken or typed. It’s at least just as painful over the internet, if not more so. Are you mad? Are you about to say something that you don’t really mean, but there’s a chance the person you intend to tell it to will take it seriously? DON’T TYPE IT. Cool your head, organize your thoughts, then please make a coherent post explaining why you don’t agree with someone or why you think that they were wrong. Spewing anger leads to more people being upset and solves NOTHING. People, think before you type. Because guess what? That person you’re about to hate on, anon or not, they’re a REAL PERSON. Not just another page on the internet. Let’s stand together everyone and fight for this. I am not naïve enough to believe we can completely stop bullying. Bullying will continue as long as children want to show they are able to bully for whatever reason they want to show. 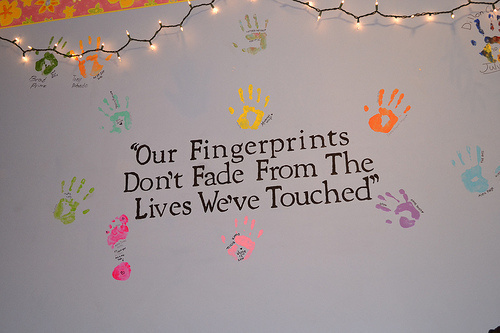 For some kids I believe bullying is the only place where they can realize some real power in, and over, life. Maybe they have external issues that they believe they can finally intimidate others the way people intimidate them. Maybe, to them, bullying is a pleasure, maybe it is “serious joking around”, maybe it some aspect of self actualization and maybe even it is a thoughtless hobby-like behavior. And maybe bullying is to prove something to themselves that they do not get at home. Maybe they find it fun to be hurting a vulnerable person who is different. But I believe limits can be drawn. 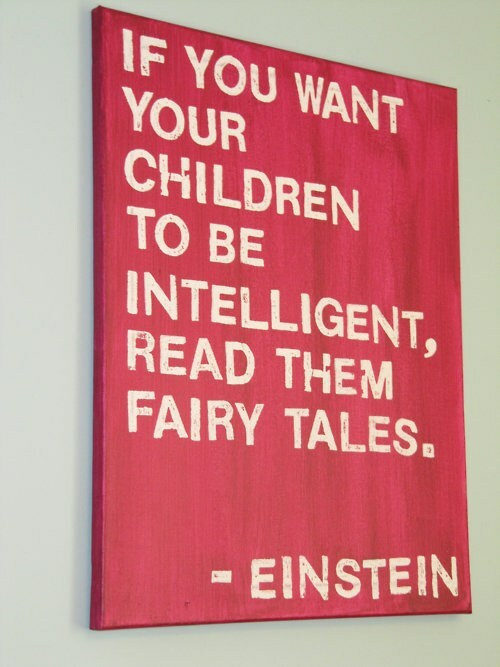 And I believe they can be drawn by kids themselves … and empowered to manage those limits. Maybe this is where discussion really helps. – 49 percent said they tried to help in some way. – 22 percent said they would not help because it was none of their business. – A full third of the young people in this study indicated that they could see why bullying happened, which seems to suggest that they, at some level, accept and/or condone bullying behavior among their peers. 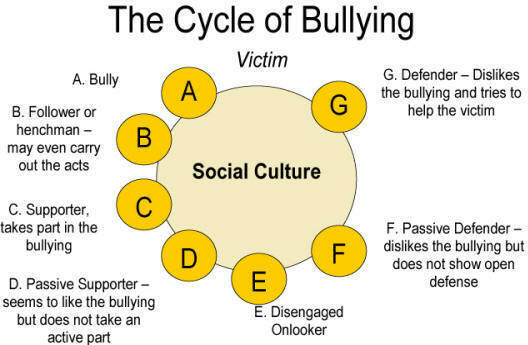 And, in another study by Whitney and Smith (1993), 18 percent of the participating middle and high school students said that they would join in if their friends were bullying someone. This is going to sound harsh, but, the one who is being bullied probably cannot stop it … for a variety of reasons … and I don’t mean to make them sound helpless but it is partially out of their hands. But others can do something. I could have stopped the bullying of that one kid. But I didn’t. And that is something I know I bear with me even today. And, frankly, I am not the important one in this discussion … I was not the one bullied. I should have stopped. And done something to stop it. Would I have lost friends? Maybe. Would it have been the right thing to do? Yes.